RD8000 – Utility Mapping Services, Inc. 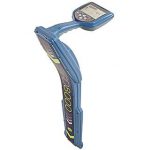 The multifunctional RD8000 range represents Radiodetection’s most advanced pipe, cable and RF marker locator, offering a wide choice of locate functions and advanced connectivity options. The RD8000 improves on speed, accuracy and reliability while delivering unique user features. Powered by a digital architecture , RD8000 delivers a highly controllable and reliable locate solution to service any industry, anywhere in the world.